Penguin Vacation is a 5 reel, 20 paylines video slot with a fun filled theme. This slot is one of the latest additions to the Playtech software group which has an interesting bonus-freespins feature and the ever popular gamble feature. 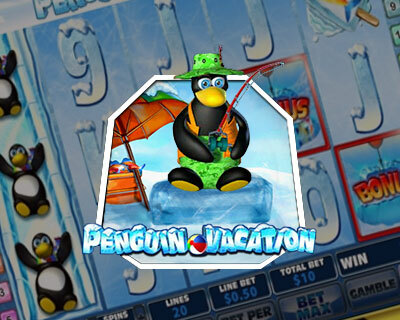 Penguin Vacation slot has more than 40 winning combinations with various winning symbols such as the Penguin Ice Hole as the scatter, the Penguin as the wild (also the Jackpot symbol, appears as stacked and it substitutes for all other symbols except the Scatter and Bonus symbol to complete any winning combinations). Other paying symbols are the High valued playing card symbols. The Penguin Vacation free spins feature appears to be very exciting. Players can win up to an incredible 33 free spins with up to a 15x multiplier. These parameters are chosen through a bonus game. The Penguin is on a fishing vacation. He has cut several holes in the ice. Players have to select two holes for the Penguin to drop his line in and his catch will reveal the number of free spins and the multiplier. The animations and the audio are even better with the throbbing drum beat being heard every time the reels spin. The coin size varies from 0.01 to 0.50 and the maximum bet per spin is 200. 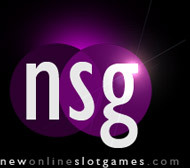 This slot is a good option for high-rollers who seek for slot games with high maximum bets.